Out stalking yesterday, we saw three stags scrapping over a group of hinds. As we were watching them, we saw what seemed to be a fourth stag in the heather. It was dead, though still warm. At first there seemed to be no blood or any sign of an accident. But upon closer examination we found a hole in the throat where an antler had obviously penetrated, severed the artery and gone right through to displace the first rib. The stag’s lungs had filled with blood. The stag weighed over 17 stone in the larder, so it was no pushover. There was a big switch amongst the three fighting stags and I have my suspicions that he may have been the culprit. 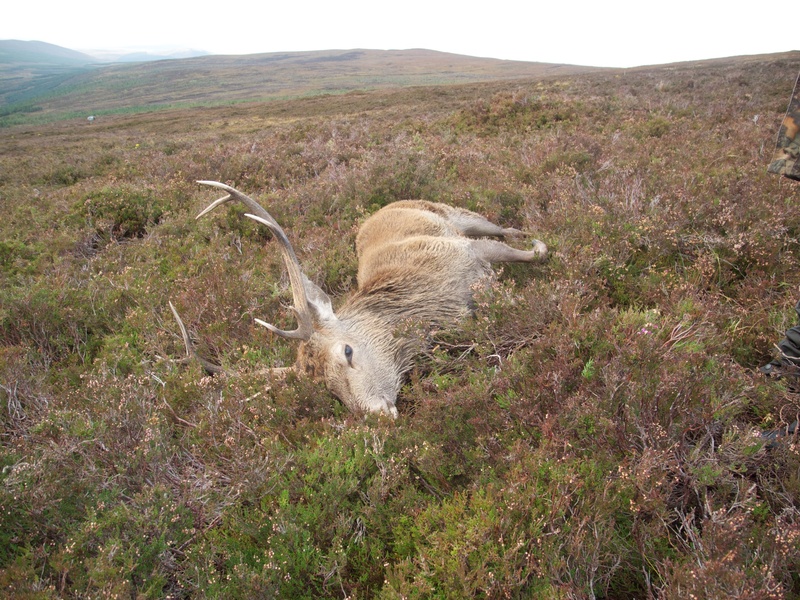 This entry was posted in Uncategorized and tagged Croick Estate, Deer stalking, red deer. Bookmark the permalink.